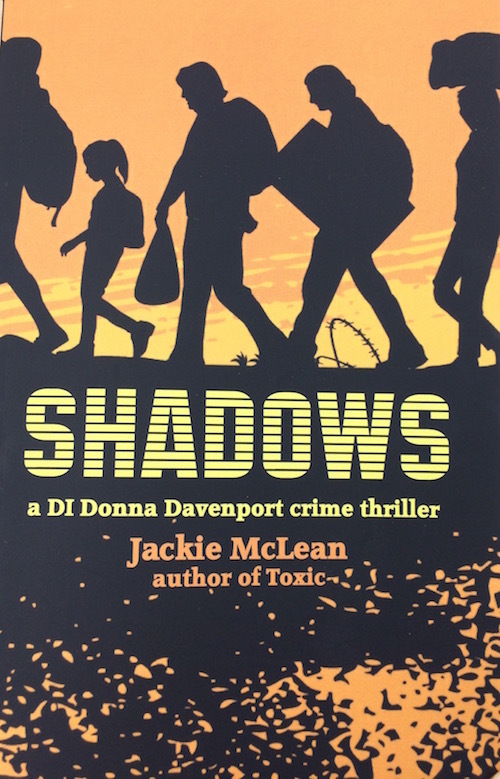 Moving from Dundee to the south coast of Turkey and the Syrian border, this is a fast-paced novel about those who live their lives in the shadows and those who would exploit them. Jackie lives in Glasgow with her partner Allison and their dog Loopy. She has a varied background, including being a government economist, a political lobbyist, and running a pet shop. She is in and out of prison a lot (in her current job with social work services). Toxic is her first crime novel, introducing DI Donna Davenport, and was shortlisted in the Yeovil Literary Prize before publication by ThunderPoint Publishing Ltd. The sequel, Shadows, is about to be published, and she has begun work on the third book in the DI Davenport series (Run). She runs Get Writing Glasgow, which is a kind of weight watchers for writers, hosted by the Waterstones at Braehead. In the Scottish university city of Dundee, life and all its complications are proceeding much the same as usual. The recklessly brilliant DI Donna Davenport, struggling to hide a secret from police colleagues and get over the break-up with her partner, is in trouble with her boss for a fiery and inappropriate outburst to the press. DI Evanton, an old-fashioned, hard-living misogynistic copper has been newly demoted for thumping a suspect, and transferred to Dundee with a final warning ringing in his ears and a reputation that precedes him. And in the peaceful, rolling Tayside farmland a deadly store of MIC, the toxin that devastated Bhopal, is being illegally stored by a criminal gang smuggling the valuable substance necessary for making cheap pesticides. An anonymous tip-off starts a desperate search for the MIC that is complicated by the uneasy partnership between Davenport and Evanton and their growing mistrust of each other’s actions. Compelling and authentic, Toxic is a tense and fast paced crime thriller.